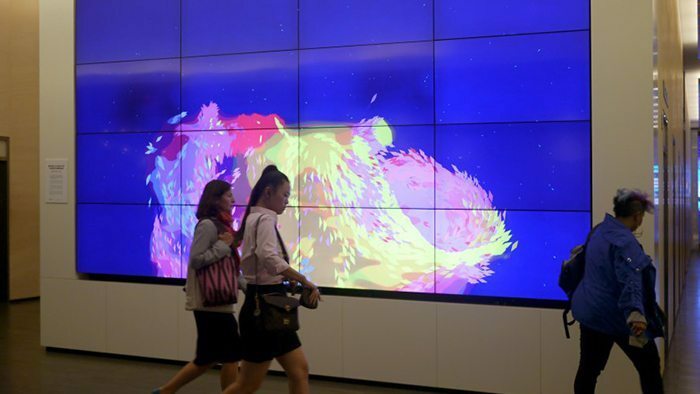 Composition VI is an interactive art installation commissioned by Viacom’s Catalyst Group, supported by Art at Viacom. 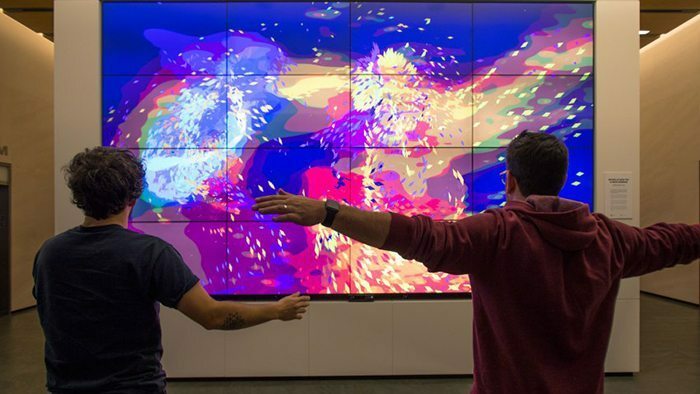 Slanted Studios joined forces with Hard Work Party to create a custom particle-based system that interprets the motion of people into unexpected shapes and colors. 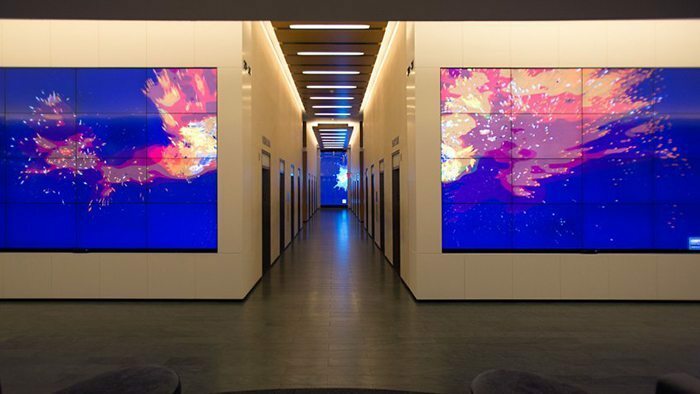 The piece displays on dual UHD video walls within the Times Square Viacom headquarters at 1515 Broadway. 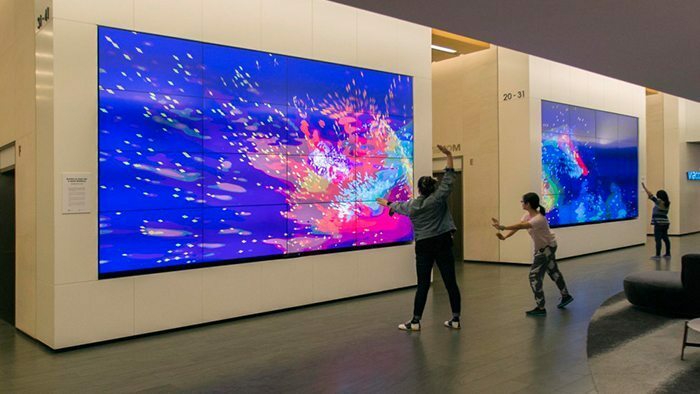 Composition VI engages with visitors’ daily life as they paint the digital canvas with their movement and activate the surrounding space with light and color. 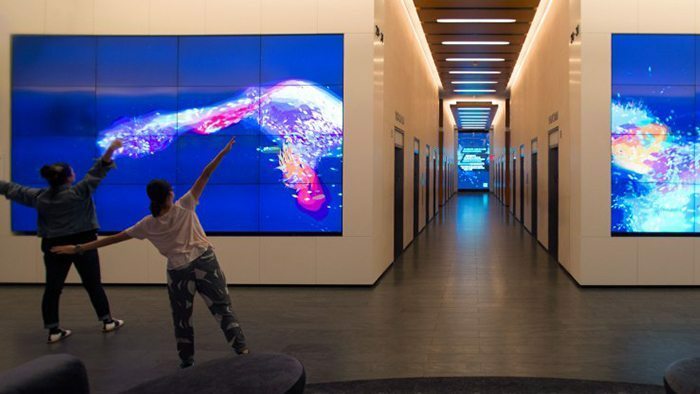 The relationship between the visitor and the environment grows in complexity through continuous interaction with the piece. 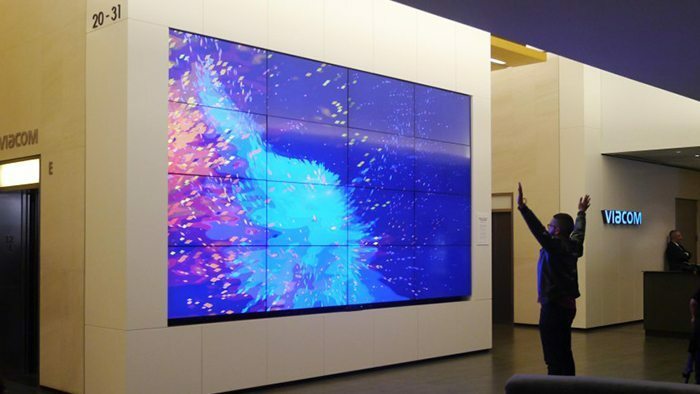 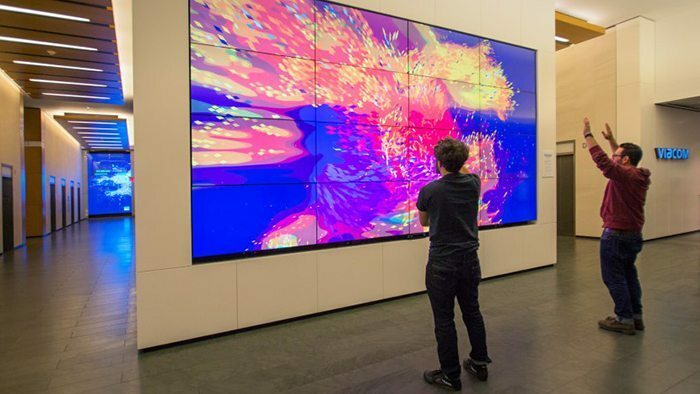 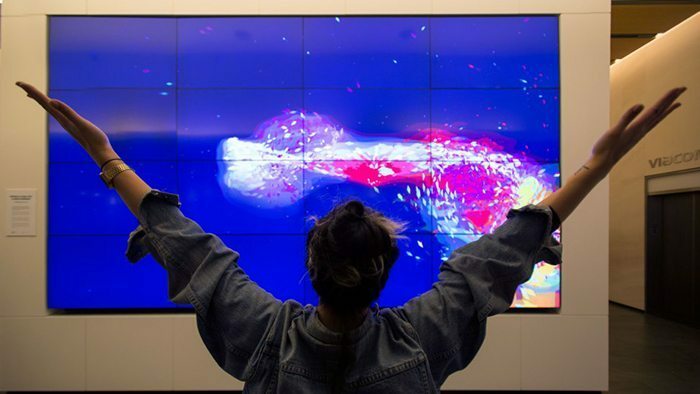 Dual-channel generative video, UHD video walls, computers, Kinects, custom software.